A non-disclosure agreement (NDA) imposes obligations that prevent one or both parties involved from disclosing certain information, and these agreements are as varied, and cover as much ground, as the companies that implement them. The protection of intellectual property, trade secrets, and other sensitive company information often warrants the need for an NDA; however, there are certain times where bringing an NDA into the equation can prove to be a hindrance, especially when it comes to fundraising. 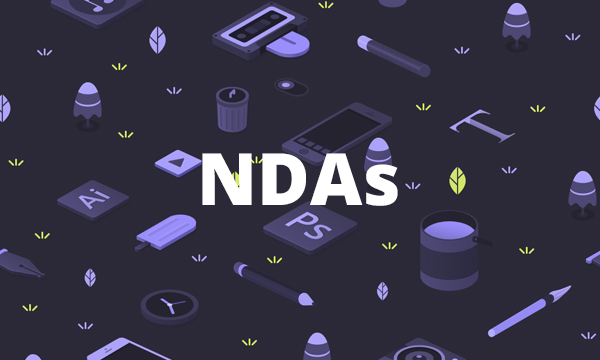 We spoke with several EquityNet investors and asked them their thoughts on NDA’s, when they’re comfortable signing them, and when they feel it’s appropriate to bring them into a discussion. In our conversations, a common theme emerged: signing an NDA is not a trifling matter, and entering into one is typically not the first thing a potential investor wants to do. “I want to have the freedom and the comfort to be able to review anything that comes across my desk that I have an interest in. If I’m signing an NDA, then that certainly limits my capability. A simple statement, comment or suggestion could be construed as a violation, and I don’t need (or want) to spend money on attorneys by entering into such an agreement.” – Alan Leszinske, Investor and CEO of TecMed, Inc.
With over 30 years of experience in research, technology development, and startups, as well as over four patents granted, Mr. Leszinske has financed 14 companies, and is no stranger to the world of NDA’s. He shares a common view held by many private investors; signing an NDA in early stage conversations will almost surely deter any interest away from a company. Active investors often review dozens of companies per week, and since these reviews are preliminary and fairly casual in nature, the majority of investors don’t want to have their ability to seek out investments trampled upon by entering into a legal agreement with a single entrepreneur. Investors simply want enough information about a company to pique their interests in the initial stages of communication. Typically, if entrepreneurs cannot explain what their businesses do or how they operate by using public information, they may want to consider how they approach potential investors. “You should be able to pitch your company and explain your business plan without having an investor sign an NDA,” says Monica Minkel, Managing member of Stuffed Sheep Properties, LLC. “Frankly, you should have a version of your plan you can present to investors that doesn’t need an NDA,” she continued. So, why do some entrepreneurs want potential investors to agree to NDA’s early into the conversation? Many investors believe that it’s a symptom of inexperience. Countless entrepreneurs are so eager to obtain capital that they will not hesitate to divulge any and all information about their companies. Other entrepreneurs simply don’t realize their ideas are not original, or what they want to convey to a potential investor does not necessitate the need for such a legal instrument. In the end, entrepreneurs need to realize that they have multiple options when it comes to what they want to divulge to a potential investor. EquityNet offers entrepreneurs the ability to provide accredited investors with as much information as they see fit, but they also need to see things from those investors’ point of view. Real, accredited investors want to see ideas in motion. They want to see that an entrepreneur can focus her ideas into action, and can generate tangible results based on those ideas. An idea without execution is worthless, but the person who is willing to work on her idea could change the world. Great nuanced discussion. NDAs can definitely go both ways. Also, they need to written in the right context. Often you can get adapted NDAs that betray unprofessionalism. I agree. There’s definitely proper moments for an NDA, but I think it’s a rare occurrence for pitching for investment. The entrepreneur should have done enough research before pitching to know if there is any conflict of interest. Also, if the entrepreneur is so scared to share their idea because a competitor/investor could swoop in, then the entrepreneur has no serious competitive advantage and is less attractive for investment regardless. Couldn’t agree more. For most companies, if the only way you can win is to have no one else compete with you because of a secret, then you’re probably not too investable. I couldn’t agree less with Ms. Minkels commentary. I think investors sometimes forget the statistical odds for start-ups in even obtaining funding. If you’re engaged with a startup that is desperately trying to differentiate its technology or business concept from the competition in order to obtain funding, that differentiation has to be disclosed in a BP and pitch. Asking entrepreneurs to risk being “first to market” for the sake of not signing an NDA is absurd. I agree that NDA’s should not contain unnecessary context but this pervading trend by investors not to sign them at all is wrong. It’s more a matter of “when” to sign an NDA. My response was to her marquis comment ..”You should be able to pitch your company and explain your business plan without having an investor sign an NDA”. So which side of the fence is she on?…difficult to discern from the article. Guest: if we can remove legal cost and simply sign a NDA we would have more money for our businesses. Why can’t investors and business owners work things so that we can make more money for each other instead of wasting on legal costs? The whole point of the NDA is to protect intellectual property. The problem with your point is that you’re speaking in ideals, and there are many shades of gray for both parties on what is ethical while conducting business. The NDA just spells it out those shades of gray for both parties to prevent potential damages and a build a level of trust and expectations. I agree with you statement that “this pervading trend by investors not to sign them at all is wrong”. It is a matter of when. I believe that non-disclosure agreements are very appropriate and important in many situations. As an investor, I have no issue sigining one, although I will read it first…..
Monica it is good to see an investor say “not to sign NDA is wrong” I went to court with a copyrighted document and the Judge at NYDC said it is conclusions. If I had the NDA from Simon Cowell and American Idol I would not have to waste my hard earned money and time. NDA is the best way. You would think that the investor would want to protect their money. Imagine if I had one the Case the investors of American Idol would have lost millions of dollars. I strongly believe that I must protect my investors at all time and the best way is to NDA. Of course, it is best if you can present your business case without requiring an NDA. However, many investors are ignorant of the legal issues involved in obtaining patents. In the act of disclosing your technology you can (at least theoretically) face a statutory bar in ever obtaining a patent for that technology, unless you have an NDA covering such. Articles are kind of funny when they quote you. I have no issue sigining an NDA for anything ever. I see them regularly in my line of work. However, you should be able to have a basic conversation without needing to request from your prospective investors. I expect to hold information confidential. A proper Non-Disclosure Agreement is not a Conflict of Interest limitation. It means I am not going to post the entrepreuner’s business plan on facebook or leave a copy of thier document at a public place. If an entreprenuer is going to share their vision with me, I find it perfectly reasonable to respect the confidentiality of their vision.